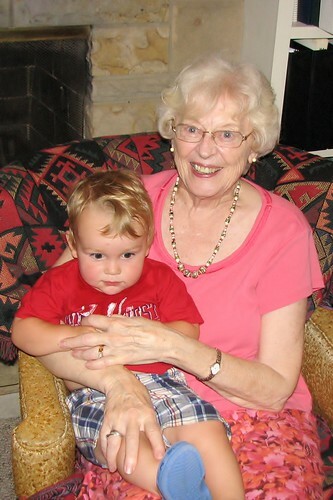 On my 80th day of blogging, we attended my grandma Pearl's 80th birthday party. With all of the people watching, Luke was too intimidated to want to smile for the camera. But Pearl looks great, doesn't she?